Would I repurchase: Already have and always will. 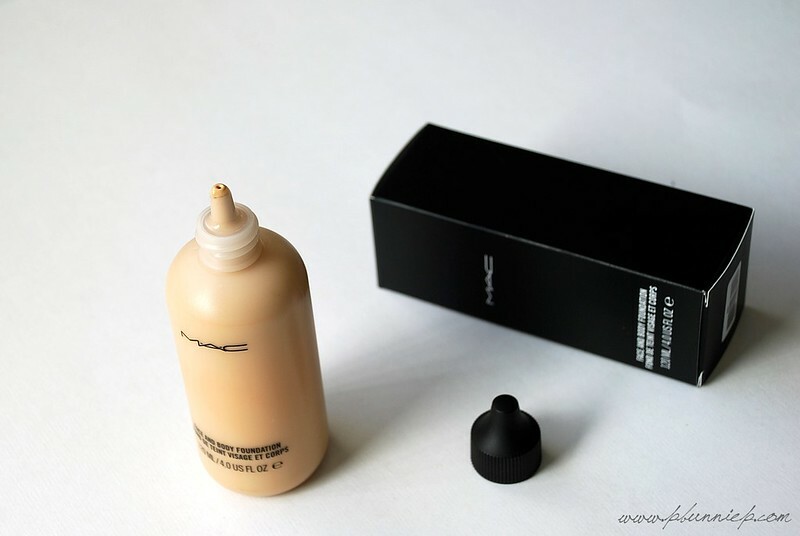 It may seem like an odd thought but one of my favourite foundations in my entire beauty experience is one that I have never reviewed. Looking back, I suppose it always seemed almost too basic to talk about and I often wondered if anyone would take a second glance at its plane and simple looks. 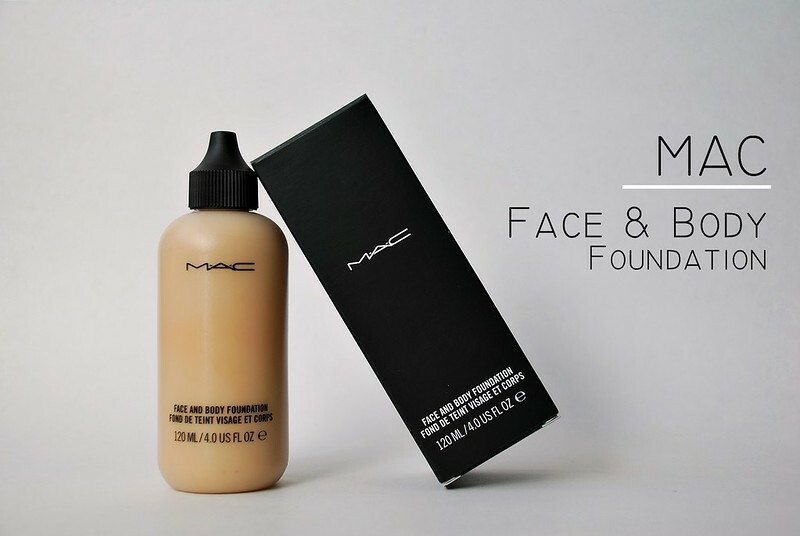 The MAC Face & Body foundation however, really deserves more love than it's shown because not only has it held up to the test of time (along with countless runway shows and fashion shoots), it still remains one of the most effortless products to use while giving you a glowing complexion. Since welcoming this bottle back into my collection, it has quickly regained prime real estate in my top makeup drawer. And while I used to opt for heavier fully coverage base products for filming, my currently reasonable skin meant that I've been wearing this in most of my videos for the past month as well. As I mentioned in the video, MAC base products tend to be very saturated in their colours. Here in the swatch below you can see how rich both C1 and C2 look in the bottle and on my skin (my neck, which is my natural colouring). Ideally, I would mix a touch of white to lessen the yellow in C1 (what I currently wear) but even worn own its own, it blends reasonably well. On my face (below), this foundation knocks out a bit of redness and splotchiness around my cheeks, lessens the appearance of some smaller blemishes on my forehead and chin. This is with one layer over my skin applied in a patting motion. Note that undereye darkness and the red mark on my nose are still apparent. 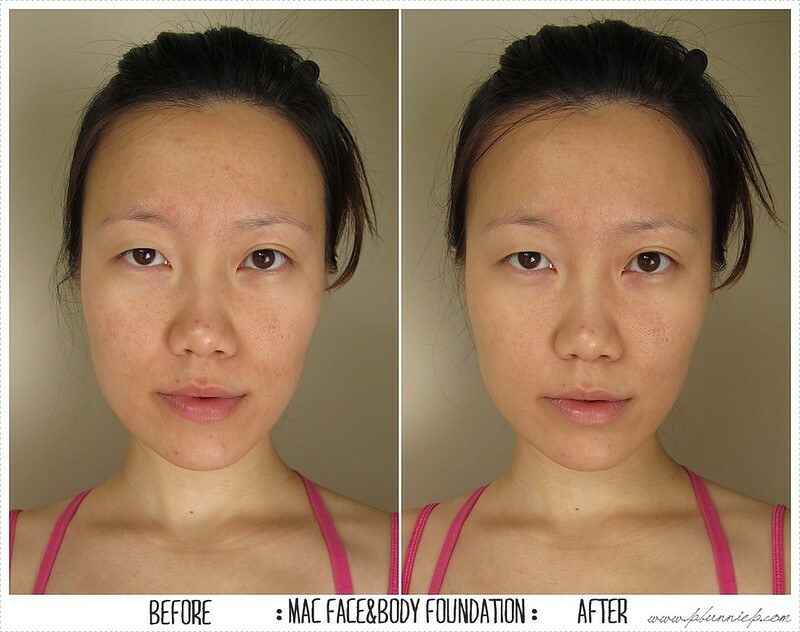 The difference is subtle but noticeable and the foundation works to enhance the skin while maintaining it's natural glow. In addition, the colour does not oxidize throughout the day and remains very consistent. An industry secret weapon that isn't so secret anymore now that I've told you how wonderful it is. 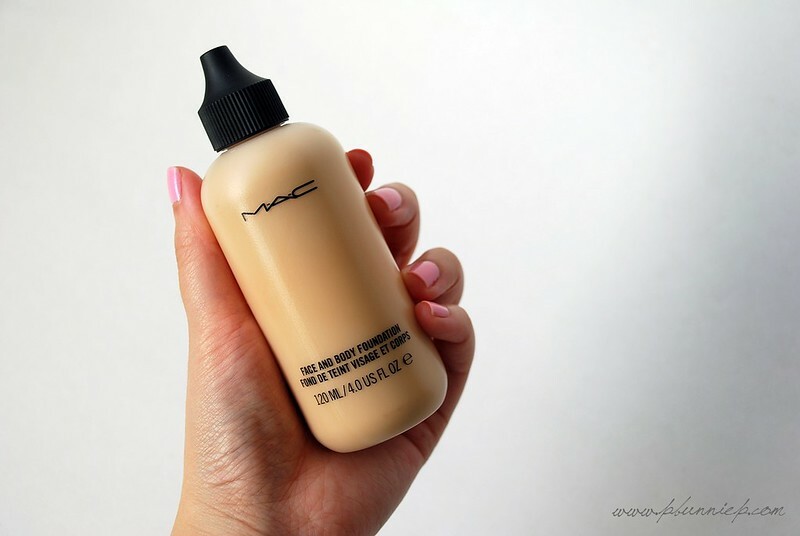 And while it may not be as flashy or fancy as many of the high tech formulations on the market, there's a reason the MAC Face & Body has been in makeup artist's collections for over a decade. I truly adore how versatile this foundation is, taking me from everyday coffee meets to weddings and even for filming. The finish and texture is flexible enough to be used as a mixing product with thicker base products and imparts a softer more natural look to the blended concoction, moreover it acts as a skin evening base for powder foundation as well. Recommended for: Very dry to combination oily skin, seeking flexible sheer to medium natural coverage with minimal makeup look/feel on the skin. Photographs/films very well in various lighting. Would look beautiful on both young skin and mature skin as it is both fresh yet forgiving. Great review. I am looking for C1 120ml. C2 is too dark for me. I have same skin as you. MacCostmetic online did not show C1 120ml available. 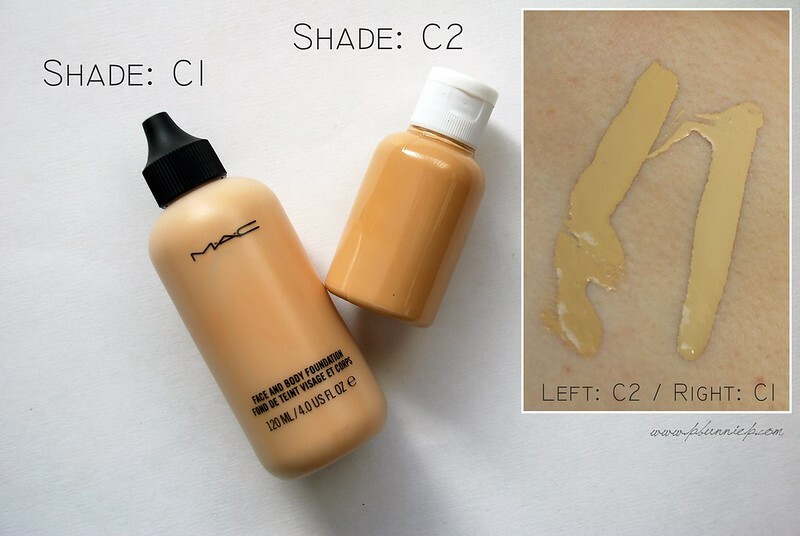 I called Mac Online and they said they do not carry C1 120ml anymore. Did you buy in store? I bought mine in a MAC Pro-Store, I have not heard any news about them discontinuing any colours though. You may want to call a few locations and see if they have it and will ship it out to you. I've also heard that few free standing stores carry the F&B as well. Makes your skin soo glowy! 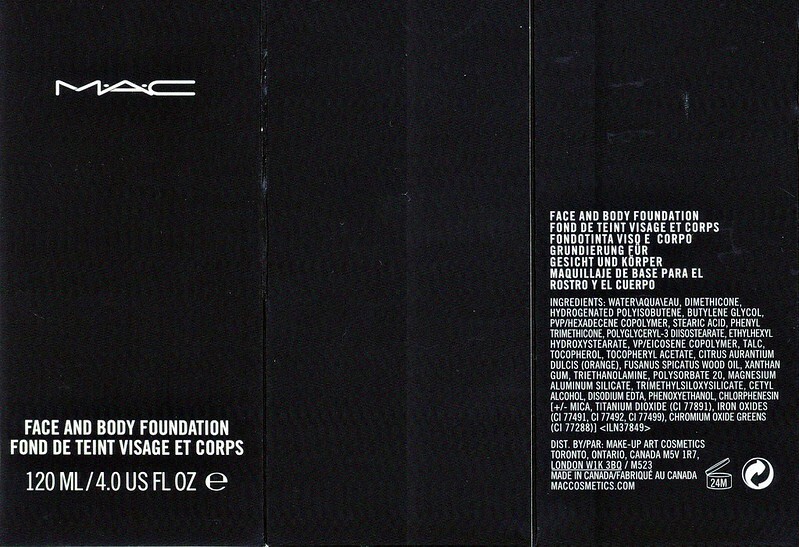 MAC face and body is my greatest foundation love. I'm in C3 and it's perfect for my combo oily skin. A mi me gusta esta base, pero hecho de menos que tenga spf porque me parece que la mejor época para usarla es el verano. I'm also Asian and I found the N colors work better on me. I tried C2 first and then I felt it was a bit too yellow. I switched to N2 and it was much better. I could have gone with N1 but because it's really sheer, it doesn't matter. I love the way it feels on my skin, it's definitely my favorite foundation.